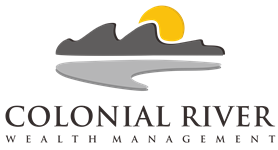 At Colonial River Wealth Management, our vision is to be the trusted Financial Professional to the individuals and businesses we serve. Our mission is to provide high-level management services to our clients and helping them grow, protect, and enjoy their wealth. As independent wealth managers, we focus on offering a highly personalized experience, never one-size-fits-all plans. We pledge to always place our clients’ interests first and strive every day to enhance the lives of our team members and enrich our community.